Hyde FC will always be remembered for the record 26-0 FA Cup defeat suffered at the hands of Preston North End in 1887. But the club, founded two years earlier, was anything but a collection of cotton-town bumpkins. It was a highly ambitious outfit which wanted to compete with the best sides in the North. The 1887-88 season actually proved to be very successful and at the end of it Hyde met Newton Heath (now Manchester United) in a match the local press termed the unofficial championship of Manchester. Hyde enjoyed a very productive period at the turn of the 20th century when the club won four league titles. It moved to Ewen Fields in 1906 after merging with Hyde St George’s and taking over the Saints’ place in the Lancashire Combination. In 1917, Hyde folded because of what was termed war reaction but in 1919 there were demands for the club to be re-established. United was added to the name because of a match between two groups which used to meet in the market place: the Forty Gang and the Discharged Soldiers and Sailors. The inter-war years were a purple patch. In the 1920s, Hyde won five Manchester League championships. This record allowed them to win election to the Cheshire County League in 1930, and four years later Hyde beat Stockport County Reserves to lift the league cup. In 1945-46 Hyde won the Cheshire Senior Cup for the first time and in 1954 reached round one of the FA Cup, losing to a Workington side managed by Bill Shankly. In the following two seasons the club clinched back-to-back Cheshire League titles. Hyde’s nickname, the Tigers, was adopted at the end of the 1960s when they were founder members of the Northern Premier League. They were expected to struggle but fought like Tigers for two seasons and finished seventh and eleventh. However, the club could not compete financially and returned to the Cheshire League in 1970. It took ten years for Hyde to re-emerge as a force. In 1981-82 they swept the Cheshire League board and won election back to the NPL. Hyde returned to the first round of the FA Cup in 1983, losing at Burnley, and in 1989 made it to the semi-finals of the FA Trophy. In 1986, Hyde took the radical step of selling Ewen Fields to Tameside Council so that a synthetic Baspograss pitch could be laid. They picked up several trophies, returned to the first round of the FA Cup (1994) and reached two more FA Trophy semi-finals. Grass was reinstated in 1995 but as the 21st century dawned Hyde began to struggle. They finished second to Leigh in 1999-2000 but were relegated to the NPL first division three years later. They won the championship at the first attempt and immediately followed up with the NPL title in 2004-05. Fortunes were mixed in National League North. Hyde were badly affected by the banking crisis of 2008 and the following year were actually wound up for a week. In 2010, Hyde agreed a deal for Manchester City’s elite development squad to use Ewen Fields. The money secured the club’s immediate future but a decision to revert to the old name of Hyde FC, and to stop wearing red shirts, divided the fans. A poor season followed, but under the management of Gary Lowe, the Tigers amazed everyone in 2011-12. 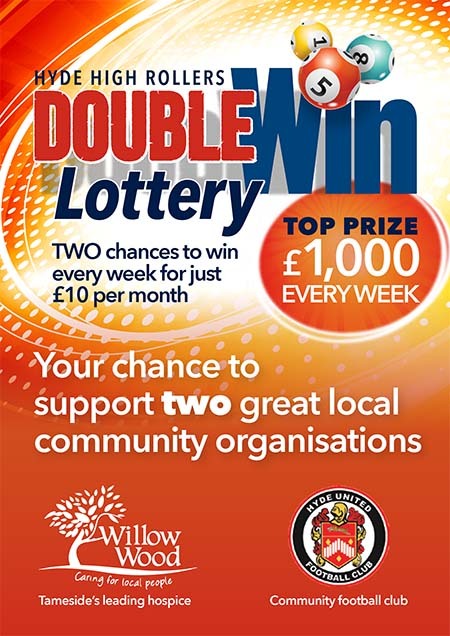 Beginning the campaign with ten consecutive wins, Hyde won the championship and promotion to the national division where they continued to surprise the pundits by finishing 18th and by beating clubs such as Wrexham, Hereford United, Luton Town and Grimsby Town. Unfortunately Hyde were unable to continue competing at such a high level and suffered back-to-back relegations which have taken them back to the NPL. In the spring of 2015 Hyde, back under the management of Gary Lowe, returned to the name of Hyde United and announced plans to turn the club into a supporters’ trust. 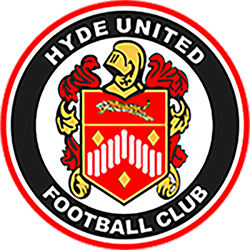 Hyde United parted company with six games left of the 2015/16 season due to a poor run of results and appointed Darren Kelly as manager for the remaining games. However Darren wasn’t able to prevent the team from their third successive relegation, this time to the Evo-Stik First Division North. Darren Kelly was appointed first team manager during the close-season for the coming 2016/17 season after applications were invited for the vacant post, which attracted a large number of applicants and some from some notable names in football management. Hyde United FC secured funding from Tameside Council in March of 2016. The investment was to help fund a programme to transform the ground and its connections with the local community by laying a FIFA 2* 3G pitch, which was completed in July 2016. It enabled the Hyde United Academy to move to Ewen Fields from its 5 year home at Knutsford. Which will enable the academy players train and gain experience from the first team. The 2016/17 season didn’t start as expected with the squad only winning 6 of their first 24 games in the league. The first half of the season saw several players released that hadn’t worked out and new players coming into the squad. The most significant signings were around Dec 16 and Jan 17, the additions of Paddy Miller, Matt Beadle Lawrence Hunter and Chris Sutherland were a turning point in the season. From late December, the team only lost 2 of their remaining 18 games, finally finishing 10th in the table. The 2017/18 season was one of the best seasons the club has experienced in recent years, with the restructure of the divisions at step 4, a possible 4 teams could be promoted from any of the 6 step 4 divisions. The top 2 from each league would gain automatic promotion with the team with the best points per game average finishing 3rd across the 6 divisions would also gain automatic promotion, then the next 4 highest placed teams in the divisions would compete for the last promotion spot via play-offs. It was Hyde that gained that automatic 3rd place with a last minute winner from skipper Paddy Miller, away to Mossley in the last but one game of the season. Right up to the final games it was very close between Hyde and Scarborough for 2nd place, and Scarborough told 2nd spot by 3 points in the end. It was also a season that saw the Tigers progress to the first round of the FA Cup for the first time in 26 years, with a home televised fixture against MK Dons. The Tiger lost 4-0, but it was a fantastic tribute to the work and effort everyone had put in at the club, and it produced some much needed funds into the football club. Funds that enabled the management team to strengthen the squad and make a real attempt at promotion, which eventually paid off. So after 2 seasons of being in the EvoStik North Division, Hyde return to the EvoStik Premier Division.